What happens if, after I move-in, I don't like my roommate(s)? Rent is due the first day of each month. You may mail or drop off a check/ money order to the management office. Checks can be made payable to “Campus Crossings at College Row”. You can also remit your rent payment online via debit/credit card, money gram, eCheck or automatic withdrawal by going to the "Pay Rent" section of our web site under "Residents". We do not accept cash. No, College Row is not a pet-friendly community. Ensuring your safety is a cooperative effort. Our Community policies and lease agreements are written with your comfort, convenience and safety in mind. However, crime has no address, and at all times, you must take an active role in securing your home, property, and most importantly, yourself. Campus Apartments makes neither representations nor warranties that the premises are secure from theft or any other criminal activity perpetrated by any resident or others. We do recommend keeping your bedroom and apartment door locked when you are not in your apartment. Residents' or guests' personal property and vehicles are not insured under the apartment lease agreement, unless due to management negligence. We do require that residents purchase insurance against loss or damage due to fire, theft, vandalism, rain, water, criminal negligent acts of others or any other cause. Renters insurance is relatively inexpensive (typically less than $20/month) and can often be secured through your automobile insurance carrier or an existing homeowners policy. Your security deposit is retained until after move-out and will not be applied to your last month's rent. After you vacate, your deposit may be applied to any outstanding rent, late fees, or for any costs incurred to return the apartment to the original move-in condition, less wear & tear. A deposit disposition will be mailed to you within the required time frame specified by the state/county where you reside. All correspondence will be mailed to the last known address, so it is important that you inform us of your forwarding address upon move-out. • Stop by the office and our staff will complete a Campus Apartments service request form. • Call the office during business hours (after-hours, when our phones are off- service, you are welcome to leave non-emergency service requests on the answering machine). • E-mail your maintenance request to the apartment community (please be as specific as possible regarding the location and actual problem). Our goal is to respond to work orders within 48 hours! • Submit a Service Request online. Go to your property's website and select “Submit Service Request" in the "Residents" section. For emergency situations (water leaks and back-ups, non-functioning AC/heat during weather extremes, non-functioning refrigerators, electrical outages, gas leaks and fire), we are available 24/7! During business hours, call the community office – do NOT leave a message or send an email. After hours, call the community office and the prompts will lead you to an operator that will page the appropriate property personnel to respond to your situation. College Row offers fully furnished apartments! Our apartments include a lounge chair, sofa, coffee table, end table, entertainment center, and dining table with seating. Bedrooms are furnished with a desk, four-drawer dresser, a full size mattress and bed frame. Our apartments also come fully equipped with a refrigerator, range & hood, dishwasher, garbage disposal, and microwave. At time of move-in, each resident will receive a mailbox key for the apartment mailbox. All mail and small packages will be placed in your mailbox. College Row will also accept larger packages which can be retrieved from our office during business hours with proper ID.  College Row offers both reserved and unreserved residential parking. Reserved spaces are $300/year or $150/spring semester. Unreserved spaces are first-come, first-served and are free. A parking decal from the management office is required for both types of parking. We recommend that you contact your roommates prior to moving in to coordinate for many of the common area furnishings/luxuries, such as; televisions, stereos, shower curtain hooks & shower curtains, bath mats, trash cans, plates, silverware, cups, pots & pans, etc. For your own personal space, you will need to bring your bath and grooming products as well as towels, linens, pillows, mirrors, alarm clocks and whatever else makes you feel at home. Don't hesitate to contact our office with any additional questions or simply to feel reassured about what you've already prepared! Should there be differences that simply cannot be worked out, residents are able to transfer, dependent on availability (a transfer fee may apply, and you will be required to pay the rental rate for the new bed / room).